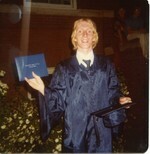 Welcome to the Robert W Traip Academy High School Class Of 1978 forums. Please press "Post Response" to participate in the discussion. thanks David, for starting this going hopefully it will be a good place to re connect with those that have not been able to connect for what ever reason. This gives us a change to get reacquainted with those we haven't seen in like forever 30 yrs. is some days forever. I agree with Tracy.....Let's use this web site to stay connected! Stay tuned for additional reunion photos to be posted this week along with a quick class survey. Again, the 30th reunion was fantastic!! And to all those who were unable to attend ...we hope you take a peek at the photos and hopefully recognize some of your old classmates! Thanks David, finding this website was awesome! Sorry to have missed the reunion. My first visit to the classmates website was actually the day after the reunion. So, again I thank you for this opportunity! Hello to my classmates, I look forward to hearing from you! Thanks Dave for setting this up. Sorry it took me so long to find it!!! Doesn't look like you've had much comment recently, but I think it's a great idea. I do hope we can all get involved and reunited. Look forward to getting together w/everyone soon. I hope we don't wait another 30!! Hello to anyone who reads this. Again, thanks David for being so true to your word and putting together this site. Love the music, and enjoyed freaking out my 20+ year old kids a little to see me dancing at the 30th. It is a good reminder that old friends still know how to party. Also, thanks for not using any identifying names on the photos. We all need our jobs. Thanks David for doing this website. Although I don't see much activity yet I hope that will change. I am interested in fellow classmates and what they are doing. Hard to believe it's been so many years since high school! Hope everyone has a great 2012!